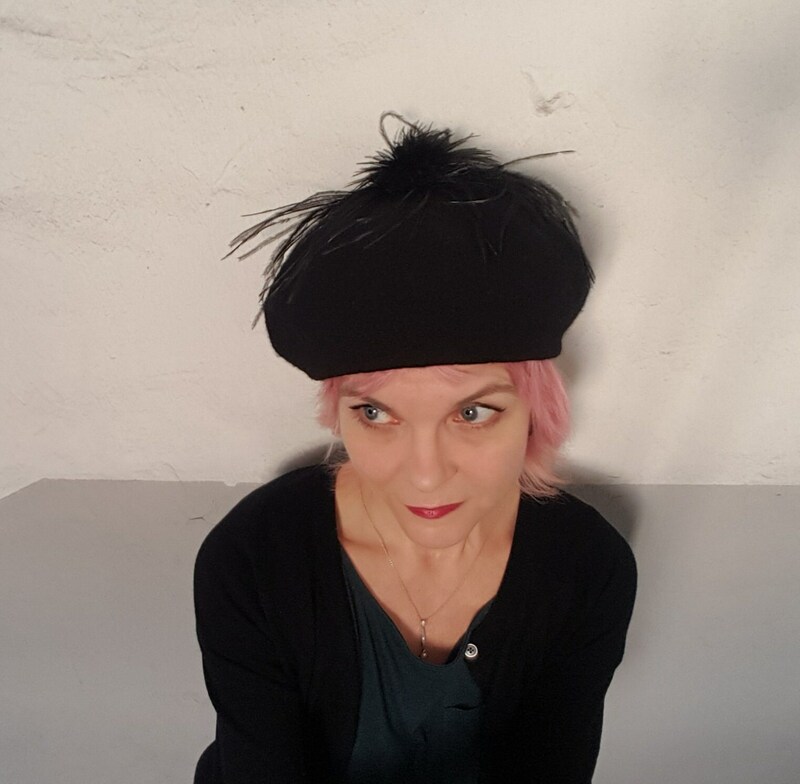 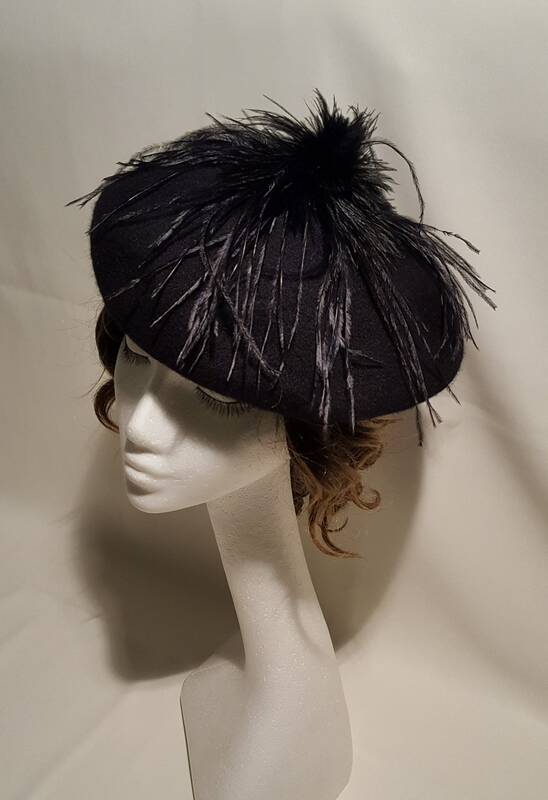 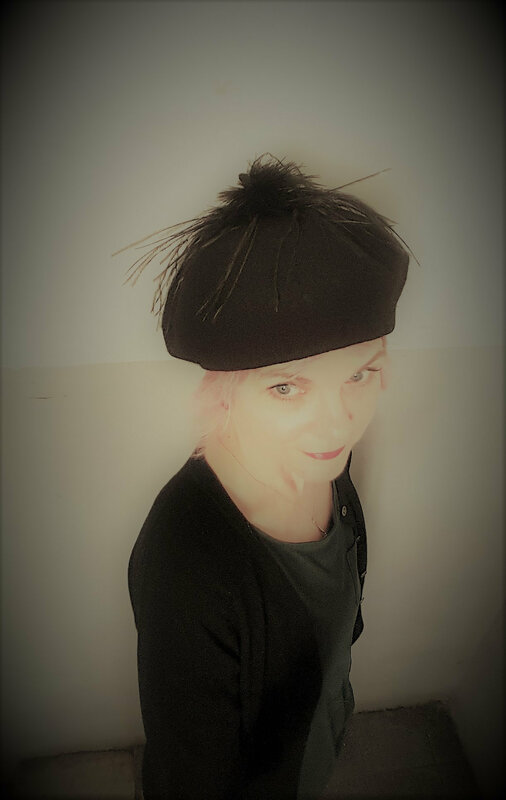 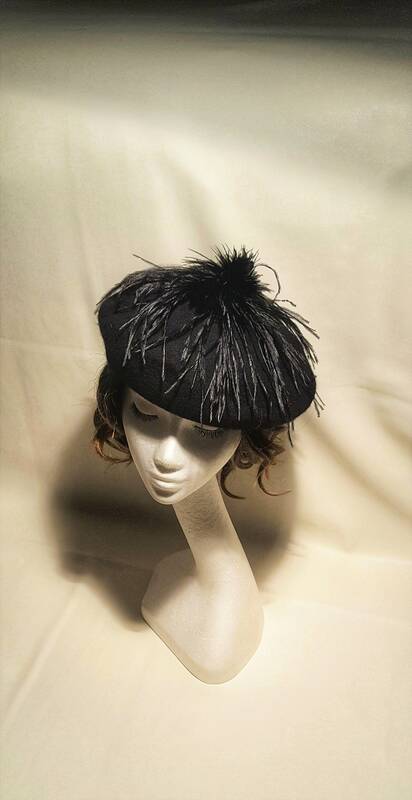 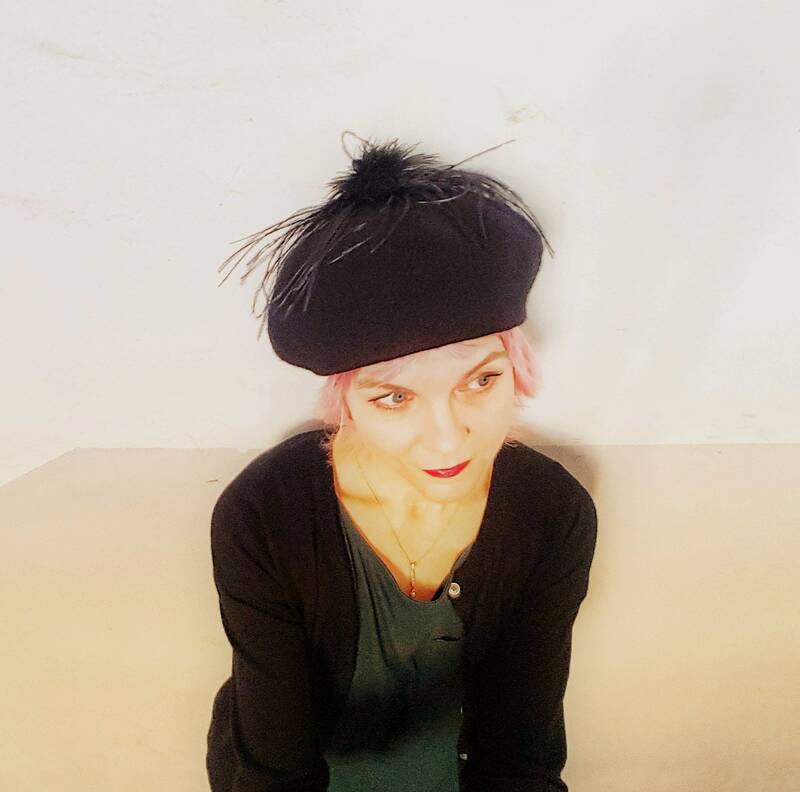 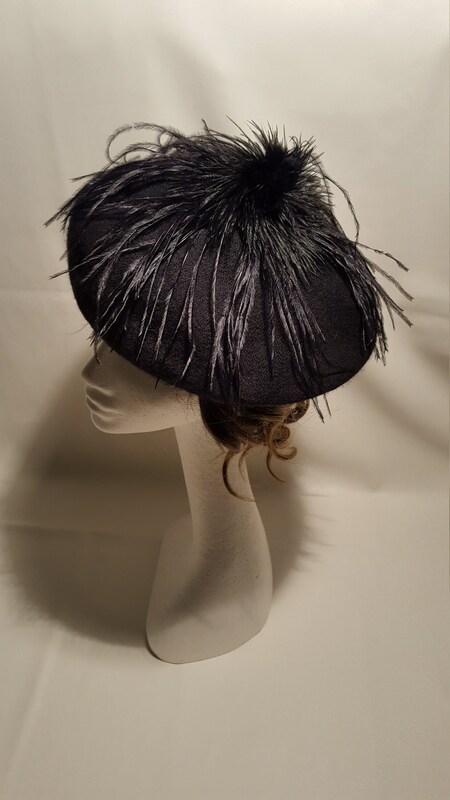 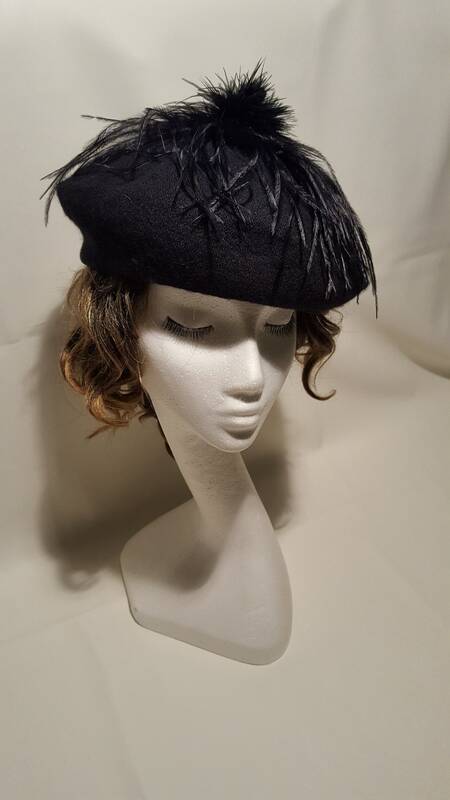 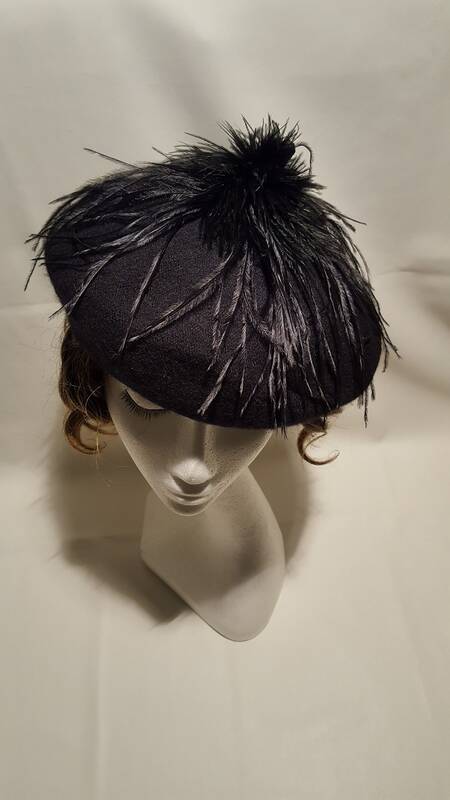 Black wool beret (50% wool / 50% acrylic) with black long ostrich feathers. 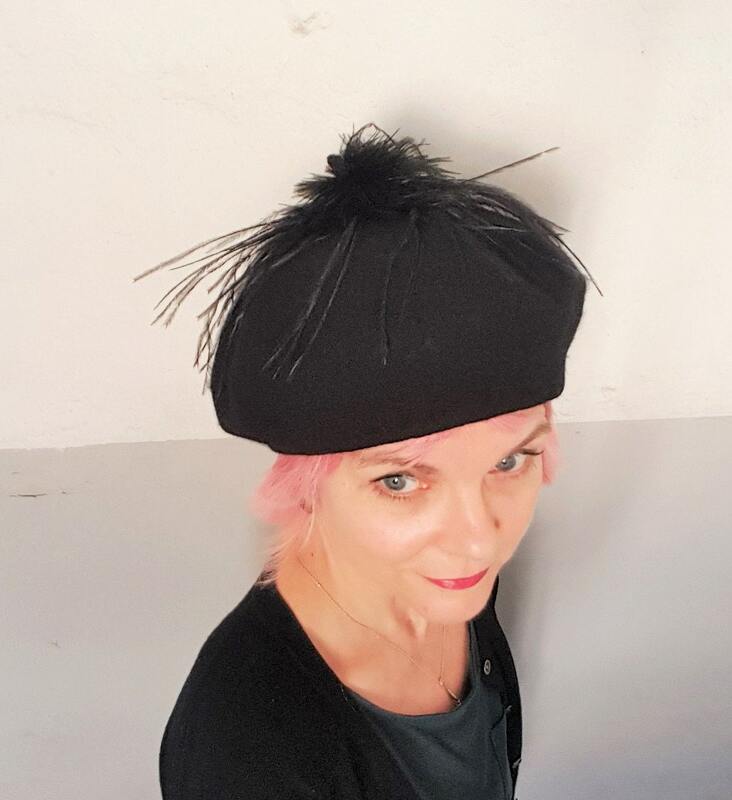 All feathers are sewn, not glued. 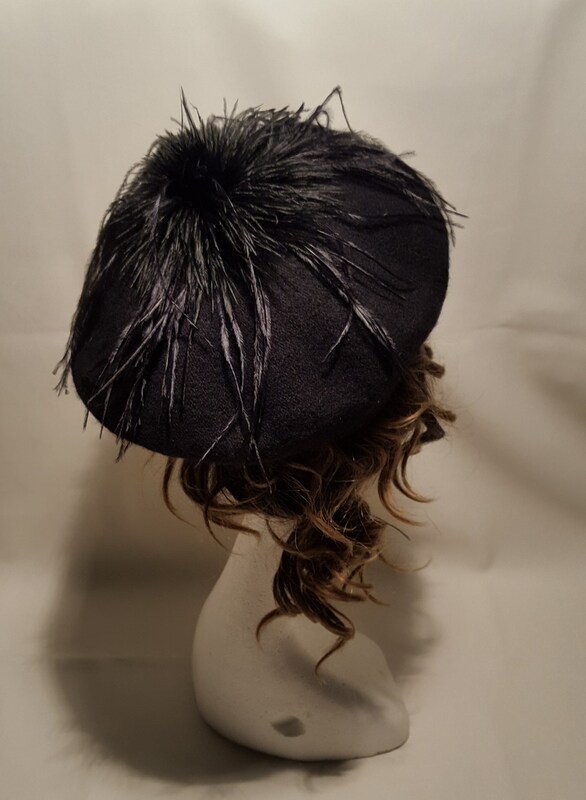 My labels are hand written on fabric leftovers.